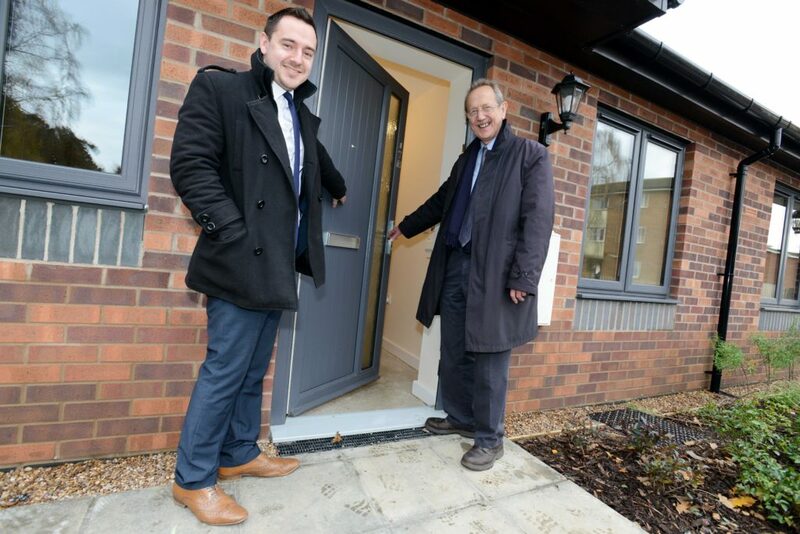 The first five of 20 new bungalows in Birchwood have been completed by Woodhead Living ahead of schedule and are being prepared for their first tenants. Built on land formerly occupied by garages, these homes will help the council meet a growing demand for bungalows in the area and are part of a wider scheme to build 150 new council properties in Lincoln over six years. Woodhead Living is delivering the project on behalf of City of Lincoln Council using a ‘fabric-first’ approach, which means the team will be able to improve energy efficiency, and reduce carbon emissions without the use of complicated or expensive sustainable technologies. The construction process involves using an air tight and highly insulated fabric to reduce heating requirements and ensure energy bills are kept as low as possible. This approach also enables the bungalows to achieve a very impressive “B” EPC rating. The fabric-first method can also reduce the need for maintenance during a building’s lifespan, providing long term management benefits and efficiency savings. Michael Broadhurst, Project Coordinator for Woodhead Living, said: “We’re delighted to be working with City of Lincoln Council to build a range of brand new council homes. The site on Eastleigh Close is the first of our five sites to complete and features five bungalows, including a wheelchair adapted property. Councillor Pete West, Portfolio Holder for Housing at the city council, said: “Increasing the supply of affordable housing is one of our three main priorities and these additional homes will help meet some of the very high demand we have for all types of housing. “Our house building programme is extremely important given the urgent need for more affordable homes in the city – there are around 3,000 people registered on our council house waiting list. The project, which was awarded earlier this year, was procured through the East Midlands Property Alliance (empa ii) Minor Works Framework. empa ii aims to improve the efficiency of procurement and delivery of construction and property maintenance projects for public sector bodies. Construction of a further 15 bungalows on four more infill sites all within the Birchwood area are due for completion in March 2016.